Wow! Your work on this comic is great, Chris! This cover is my favorite piece. Everything looks awesome! 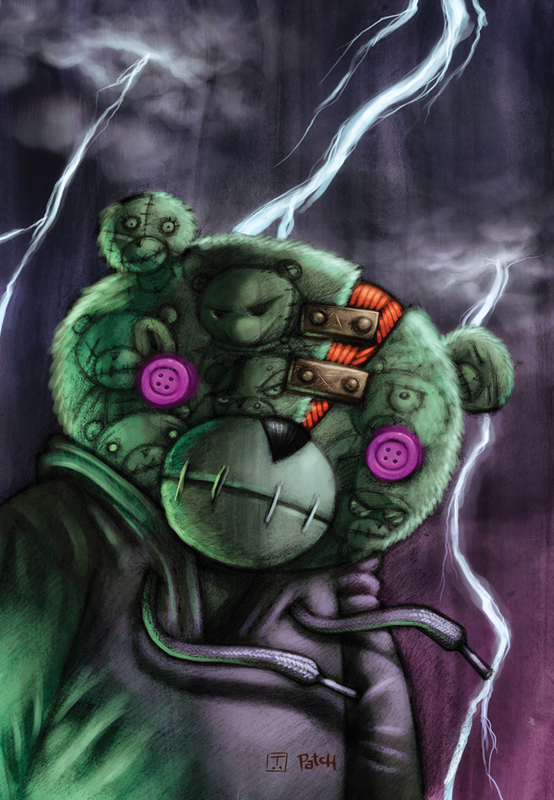 The colors, the textures, the shading, the lighting, the bear character with the blank-staring button eyes and the multiple faces within — Very cool stuff! Thanks man! I did the inks on this one with ball point pens. My buddy Tim Durning did the digital painting. It was a true collaboration. Really appreciate the post!